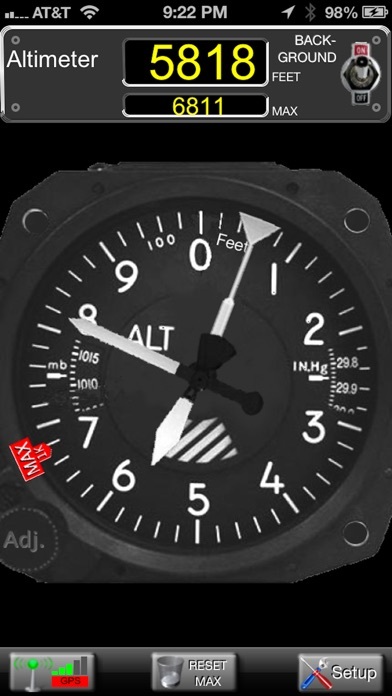 This photorealistic altimeter simulates the analog altimeter commonly found in general aviation airplanes. The meter movement is smooth and realistic. 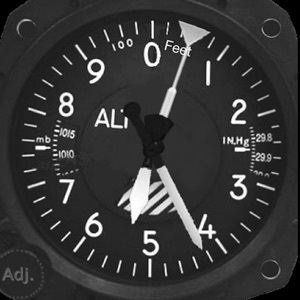 See your current altitude in both analog and digital displays simultaneously. 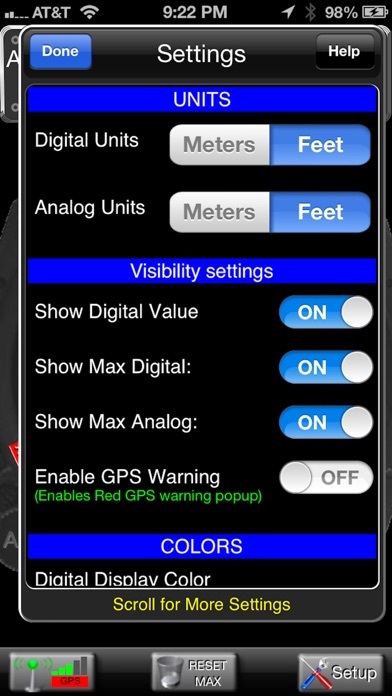 Both displays can be configured independently to show either Meters or Feet. 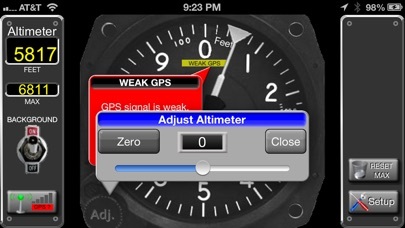 The altimeter can be adjusted, similar to an actual unit, by touching the "Adj." knob on the analog display. Also includes a pop-up display showing all information coming from the iPhone GPS, including latitude, longitude, speed, heading, and horizontal/vertical uncertainty. The altitude information comes from your device's internal Barometer or GPS, which is somewhat limited. If you use the barometer, there will be variations due to atmospheric conditions. If you use the GPS technology, it will only work outdoors, with a clear view of the sky. The altitude reading may be hundreds or even thousands off and may take a minute or two for the GPS to lock on to the satellites. This program is intended for entertainment and/or educational purposes only. This program will only work on a device which has a GPS. Barometer mode requires a device with a barometric pressure sensor. Continued use of GPS running in the background can dramatically decrease battery life.